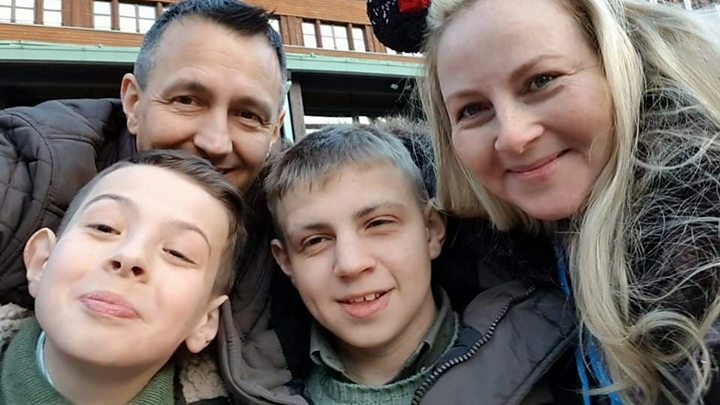 The 16 families will hand in a petition at Downing Street calling for medical cannabis to become more widely available. It coincides with a meeting of the health and social care select committee about medical cannabis. Home Secretary Sajid Javid said specialist doctors could prescribe cannabis-based medicines legally for patients with an "exceptional clinical need" from last autumn. Reality Check: Does UK export the most legal cannabis? 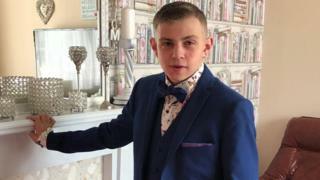 Ms Rankmore, from Cardiff, told BBC Radio Wales: "There was a day of elation when the law changed - it sort of opened up our hopes and dreams because it meant we could give Bailey his quality of life back. "But now we are getting a complete block." She added that Bailey's doctors had refused to prescribe full extract cannabis oil because they did not know enough about the substance and feared the effects of THC, the psychoactive compound in cannabis. However, Ms Rankmore believes the potential benefits of the oil outweigh its risks. "My son has 100 seizures a day and the damage that has caused him over the last 15 years of his life is no comparison," she said. For the last three years, Bailey has been taking CBD - the non-psychoactive compound in cannabis - and his mum said this had improved his quality of life considerably. But his seizures have started becoming more violent, and Ms Rankmore is worried what the future holds if he is not prescribed the more potent oil. "We do still sleep with him because there's a risk of him passing away through asphyxiation or injuring himself through seizures," she said. "To be honest it is quite upsetting just talking about it because it raises huge anxiety within the family." Cardiff and Vale health board said patients are "at the centre of everything we do". "We have been in regular contact with Bailey and his family," a spokesperson said. "And we have met with them to discuss treatment and pathway options and we have discussed the concerns the family have raised about the management of his condition. "We will continue to work with the family to best manage his condition in the future." The families are being supported by a number of MPs, including Tonia Antoniazzi who represents Gower and is calling for for more guidance for doctors. "We want to raise the profile of the fact that the law has changed but the situation hasn't changed because children are not getting prescriptions that they need to treat their epilepsy," Ms Antoniazzi said. "There is no guidance for doctors and someone somewhere is stopping them from prescribing medical cannabis." The Welsh Government, which is responsible for health in Wales, said it would not be intervening in the case. 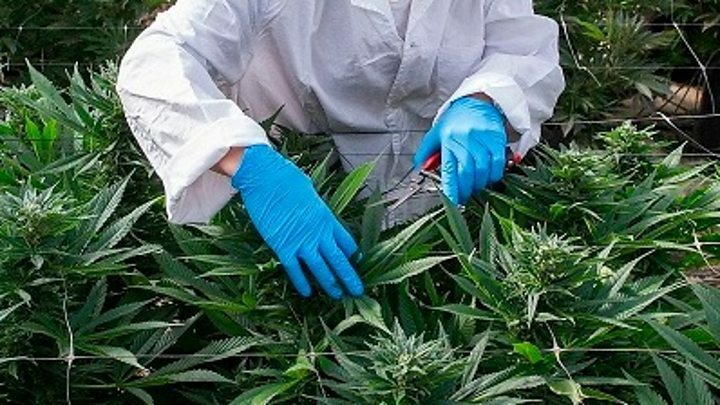 The UK government said doctors could prescribe cannabis-based medical products "where there is clinical evidence of benefit". "To support these doctors we have asked NICE [National Institute for Health and Care Excellence] to develop new clinical guidelines and Health Education England to provide additional training, while encouraging more national research to further improve the evidence base," a spokesperson added.